Just as July 4th marks the date of the birth of the United States of America, May 26th serves as the birth date of the modern state of Georgia. But Georgia as a sovereign entity traces her existence for more than 20 centuries. Over these many centuries Georgians had to fight almost incessantly for the preservation of their national independence, faith and traditions. She was many times invaded by the Mongols, Persians and Turks, among others, and in more recent history lost her sovereignty to a greedy Imperial Russia. It was in 1783 when the King of Eastern Georgia, Erekle II concluded a treaty with Catherine the Great by which Georgia accepted Russian protection from Persians. In exchange Georgia was to retain her royal dynasty (Bagrationi), Church, institutions, language and complete freedom in internal affairs. In 1801 however, Russia violated the treaty and annexed Eastern Georgia to the Imperial Crown. By 1863, Russia had absorbed all of what is today modern Georgia, including currently occupied Tskhinvali region and Abkhazia. Since then, Georgia was a part of Imperial Russia. Georgians however managed to retain their language, and traditions. 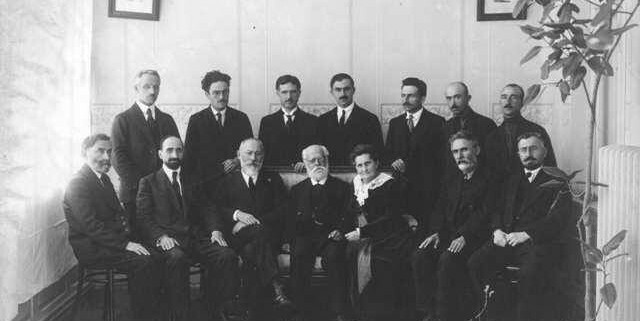 When the Bolshevik Revolution broke out in 1917, Georgians took advantage of the ensuing chaos by declaring her independence on May 26, 1918. It is this centenary which we celebrate this year. 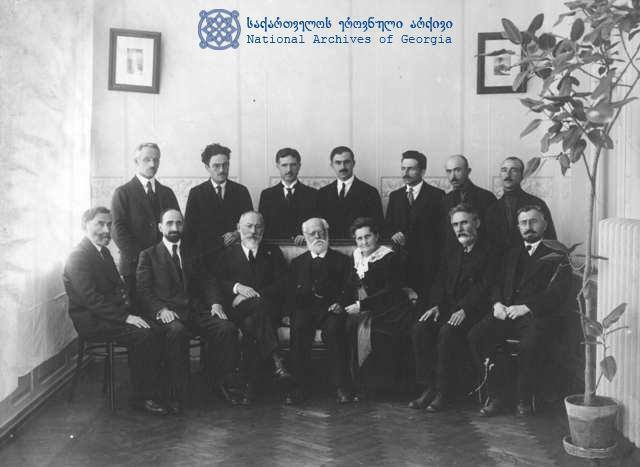 The Georgian National Council consisting of members of all Georgian parties solemnly proclaimed the restoration of an independent Georgian state. Her independence was recognized de jure by most of the worlds powers including Soviet Russia who, on May 7, 1920, concluded a treaty with the Georgian Republic. During the next three years the leaders of the new republic led by Noe Jordania, saw a Constituent Assembly elected (February 1919) based on a direct, equal, universal and proportional electoral representation. The right to vote was given to every citizen of the republic 20 years old and older without discrimination. The Assembly’s principal task was to draft a Constitution which they drew up and had adopted by February 1921. Unfortunately, by this time, the Red Army had begun its invasion of the young Republic striking simultaneously from five directions. Despite the heroic efforts of the Georgian Army led by General Kvinitadze, they were unable to resist the Soviet invasion. On March 16,1921, the Constituent Assembly of Georgia held its last meeting in Batumi and ordered the Government of the republic to leave the country, proceed to Europe and continue the fight for the restoration of independence from there. The Red Army entered Tbilisi on February 25, 1921 and the Soviet Republic of Georgia was proclaimed the same day. Although Georgia was fighting for her life, no help whatsoever was given to her by the outside world. Although several European countries debated the “Georgian question” nothing came of all the meetings, debates and protests. No one was willing to take on the Russian bear. In 1921, the world had not yet come to realize that the principle of collective security must be defended if mankind is to have real peace. The invasion of a free Georgia was an early example in which Soviet Russia cynically broke an international treaty; they did same to Azerbaijan before Georgia. The Russia of today is no less different. They continue to violate international norms of territorial integrity and human rights. How many times must history repeat itself before the world learns its lesson?